28 February 2017 Unlocked content from the archive. 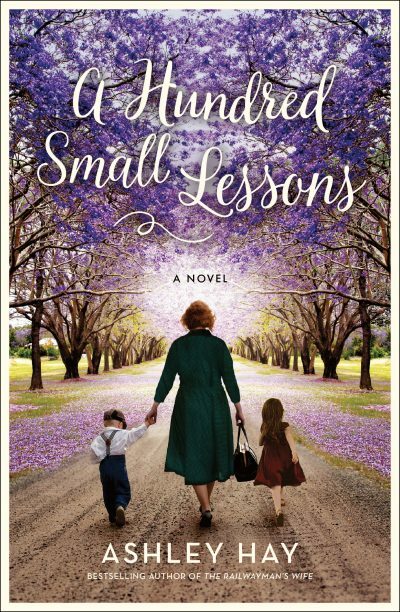 A Hundred Small Lessons (the title is drawn from a Michael Ondaatje poem) explores notions of home, family, identity, creativity, ageing and our relationship with cities and the natural world. After a fall at the age of 89, grandmother Elsie Gormley is exiled from the Brisbane home in which she has lived for more than 60 years. It was here that she and her husband Clem—who has been gone for so long now—started a family with twins Don and Elaine. Lucy and Ben and their little son Tom are the house’s new owners. As they navigate the anxieties of marriage and parenthood, they encounter and connect with the lingering history of the house and its previous occupants. In her third book, Ashley Hay explores the ways in which we inhabit spaces: building homes and filling them with our possessions, dreams, regrets, fears and secrets. I was deeply touched by this graceful novel, with its unflinching approach to reality and its gentle undercurrents of sadness, nostalgia and hope. It is a highly recommended read for fans of literary fiction and Hay’s own award-winning The Railwayman’s Wife.